OLDRIGHTIE: I Keep Seeing Heath's Mug. I Keep Seeing Heath's Mug. 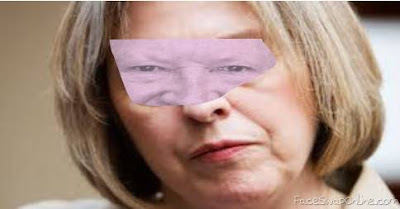 Superimposed On Mad May's Face. I hope to improve the images over time. However it sort of gives my drift. I suppose putting a picture of her fellating Robbins and the EUSSR Commissioners would be a step to far. However of this I'm certain. 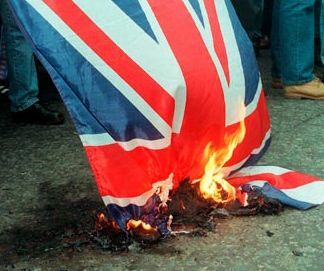 This whole Brexit saga is a bad smell for the deep state, Soros funded globalists et al who did not expect the result of the referendum they got. So ham fisted Cam the Thick had to go tout suite and a pliant new puppet be put in instead. That charade was orchestrated as the first step to redressing the terrible result of a democratic vote these ghastly PTB bunch never, with billions poured into the propaganda machine. The biased power of their Goebbels media, led by the BBC with Boulton and SKY waddling behind, was dragooned into ensuring remain would be the answer. Plus those ballot boxes stuffed to the gunnals in a warehouse near Brussels, circa 3 million votes to swell the apparent turn out and guarantee a smooth decapitation of the surly and justifiably unhappy Brits. For sure any desperately engineered second ballot won't make the same mistakes and is exactly why it should not happen. Albeit May's public utterances saying no second ballot would be easily dumped with her departure in favour of whoever. Should the worst come to the worst and no second ballot foisted onto us all, then the fall back option will be to engineer a General Election to end any further talk of brexit means brexit. We would be forced to our knees overnight, an inflation soaring membership of that failed currency, the euro dropped from on high and our enslavement to the global, warmongering, self interested deep state complete. I really cannot see any other outcome. I truly believe the end game, its associated "treaties" and a whole panoply of restraints, handcuffs and pillaging are all in place. A sudden collapse of the UK's "negotiating" position will put into a pale insignificance , much as frequent England Team batting collapses. The speed of our rout will be so rapid 17.4 million votes will be but a distant, brief moment of happiness. One already soiled by the evil that taints western politics today is so steeped in. An evil hell bent on a path to a global Mad Max existence. As Assange said just recently, a dark future is coming. It's very hard to gainsay this poor guy. Not least with the desperate need for the deep state to do a Skripal on him for real. As for the future, some might say this clip from the film is already to be found on Europe's streets.